Adult Swim is notoriously generous when it comes to its April Fool’s Day pranks, with stunts like last year’s unexpected Rick & Morty premiere delighting fans (and sending those of us tasked with covering these sudden content drops running to our keyboards on a Saturday night). Now, the network has reportedly done it again, broadcasting the first episode of one of its two planned new seasons of anime cult hit FLCL this evening, at midnight on April 1. Oh, and just to twist the weirdness knife a little more: The network broke with its usual anime practices and broadcast the episode in Japanese, with English subtitles. 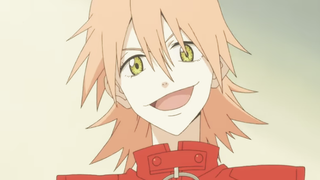 It’s not clear how much of FLCL: Alternative—which is supposed to formally arrive in September—the network is planning to dish out tonight, or whether the episode will be repeated at all. (A schedule the network apparently broadcast in Japanese suggests it won’t, and that the entire night’s broadcast might be subbed anime. If you’re on the West Coast, though, you still might be able to catch it.) From clips and screenshots being passed around online, though, we’ve at least got confirmation that giant guitars are still being pulled out of hapless teenagers’ heads, so all is apparently right and well (or at least appropriately and apocalyptically batshit) in the FLCL universe.